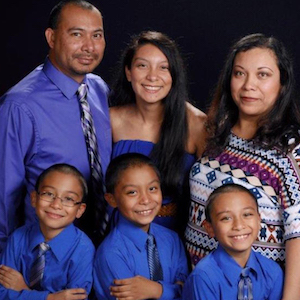 Joe Zuniga is the Missions Pastor and Church Planter of the Misión Hispana in Dewitt. He and his wife have been married 19 years and have 4 children. Joe has been a leader for the past 10 years at the Sembrador Church in Dumas. In 2015 he learned about the need for a new work in Dewitt and felt the Holy Spirit leading he and his family to plant there. Joe and his family have been traveling to Dewitt every Sunday afternoon to meet at the First Baptist Church in Dewitt with as many as 22 in attendance. The Hispanic Community is very important to Joe and his family and they long to see a thriving church birthed in this place of need. Pray for the church in Dewitt that has gracefully provided a space for us to meet every Sunday. Pray that we could continue to reach that Hispanic Community and their families with the gospel of Jesus Christ. Pray for Joe and his family as they continue to serve and lead the Hispanic Mission in Dewitt.